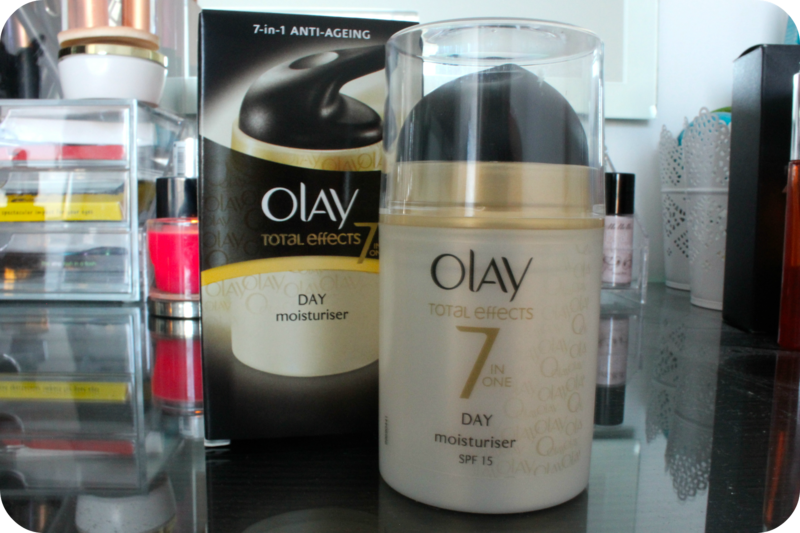 If you read my last post about the Olay Total Effects 7 in One day moisturiser, you’ll know that I’m loving Olay products at the moment and this is no exception. 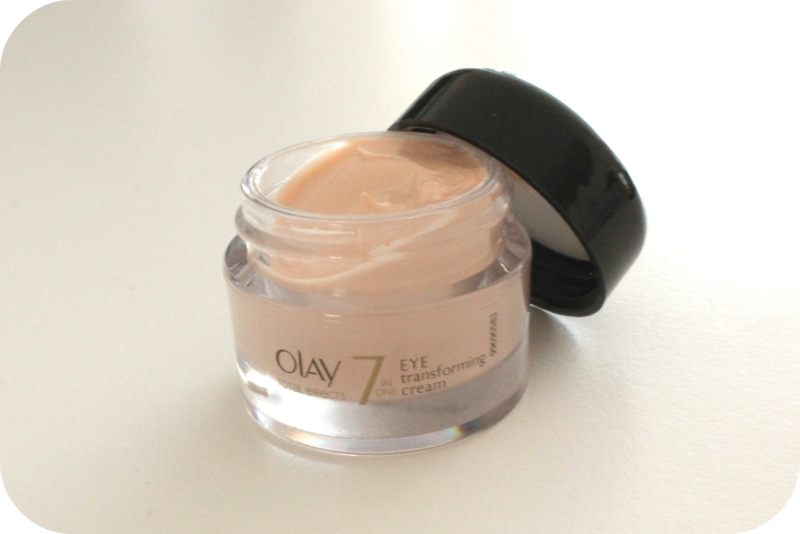 I’ve been using the 7 in One eye transforming cream together with the day moisturiser and have really noticed the difference. In the past all the eye creams I tried, I felt they didn’t make a difference but with the product you can see the results straight away. I have been using this morning and at night. And for those days when I don’t want to wear make up, the day moisturiser mattifies my skin and the eye cream adds just a touch of colour to cover those dark circles so I can face the world au natural. To apply just tab a little under your eye area and smooth into the skin. Like I’ve mentioned before, you don’t need to have wrinkles to start thinking about using anti-aging products. Prevention is the key, and you should start thinking about using these types of products when you enter your late 20’s, although that’s not to say you can’t benefit from the other aspects of this cream if you are younger. You’ll achieve the same amount of hydration and coverage. 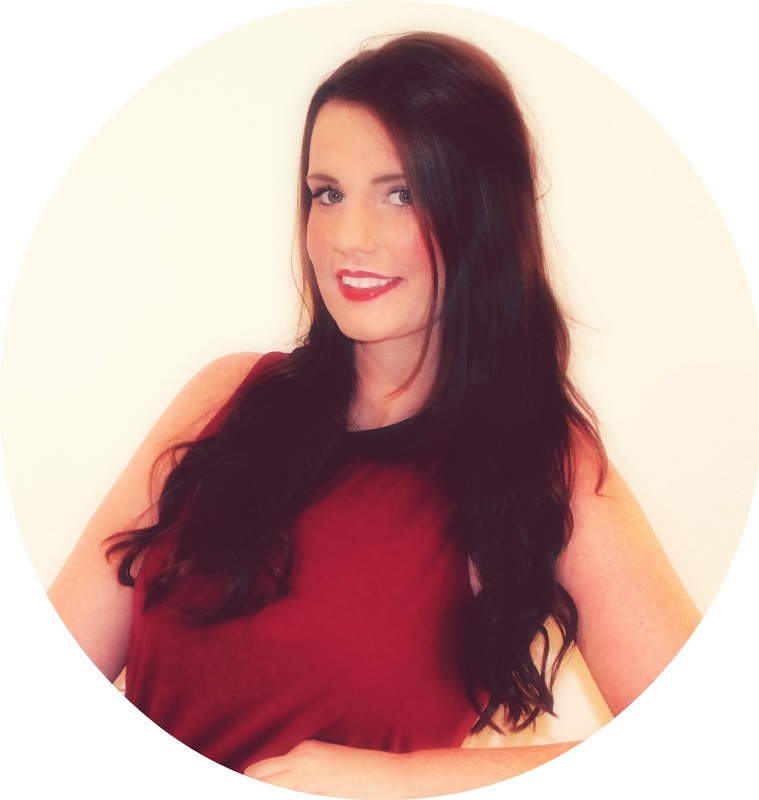 With new beauty products and brands popping up every other week it’s sometimes easy to forget the basics such as everyday Shampoo and Conditioner. It’s something we almost take for granted, but today I’m going to go back to basics and talking about Herbal Essences, specifically - Smooth and Soft. This is a brand I’ve been using on and off since I was a teenager, I’ve always liked the variety of products they’ve had to offer with different scents and results. Smooth & Soft Shampoo and conditioner is designed for dry, damaged and frizzy hair. While I’m lucky enough not to have crazy frizzy Monica from friends hair. I do find that with all the exposure to the harsh summer sun, my hair gets dry and often needs a little helping hand. 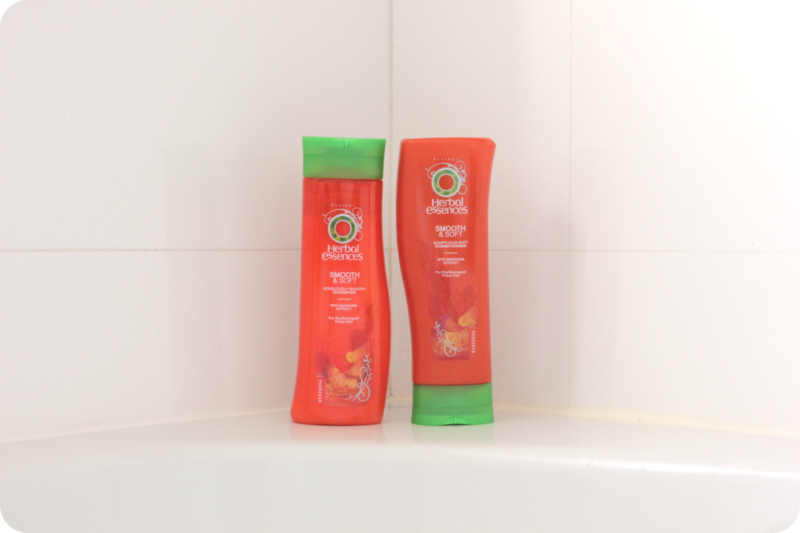 First off, I love the Herbal Essences packaging with it’s bright tropical colours, and not only that, my favourite thing has to be that the shampoo and condition sit different ways up so it’s easy to tell which one is which. How many times have you picked up the conditioner first?! I do it all the time with other brands. Smooth & Soft contains mandarin extract, which I can report back smells divine which leaves your hair smelling as equally as gorgeous. With the bright colours and the exotic smells - Smooth and soft gives you the ultimate tropical shower experience right in your own bathroom. Since I have long, slightly wavy hair that I wash and subject to heat tools often, I like that the product adds moisture and tames and frizz that I do have, while still leaving my hair smooth yet not weighed down so I can still achieve big voluminous curls. The shampoo lathers well but don’t strip the hair of all the natural oils and moisture that I find with some shampoos. The conditioner is nice an creamy and leaves my hair subtle and soft without any tangles! Next time you’re in the supermarket, breath some life back into our hair and pick up some Herbal Essences - Smooth and Soft. Your hair will thank you for it. Shoe lovers around the world woke up this morning to the launch of Christian Louboutin Nail Polish. As an avid shoe collector and beauty junky myself....I have to admit I could put in my card details quick enough to get my hands on this beauty. I'll now finally be able to match my nails and shoes perfectly. The nail polish only comes in one colour - Red. Which matches perfectly to the classic red Louboutin soles. The bottle is designed to represent the 20.5cm heel of the iconic Ballerina Ultima - the highest heel Louboutin ever designed. Olay is one of those brands that have been around since as long as I can remember. I always remember as a little girl my grandmother religiously using their classic Beauty Fluid every single day and to this day she still does. Sometimes the best brands are ones that have been around the longest. 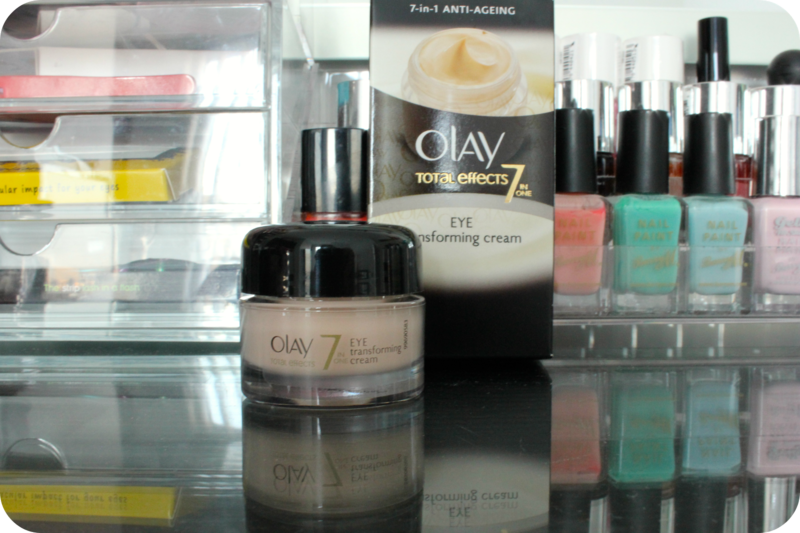 For the last few weeks I’ve been using the Olay Total Effect 7 in one Anti-aging day moisturiser with SPF 15. With the Maltese sun, especially just now in summer I always choose a moisturiser with SPF in. Also, while I don’t have wrinkle(yet!) it’s only a matter of time, so it’s always better if possible to start preparing for wrinkles before they appear. So basically it’s a moisturiser, primer and more. When I’ve been using Total effects in the morning, I have found I haven’t needed to wear a primer because it gives my skin everything it needs for a flawless application of make up. I’ve even just been wearing only the moisturiser on it’s own at the weekends without makeup to give my skin a rest, and I feel confident enough to leave the house au-natural as Total Effect evens out my skin tone and smooths the skin. The product itself comes in a 50ml bottle, with a pump dispenser which I much prefer to tubs. One pump gives you enough cream to cover your face and neck. The formula while light weight, I find it to be extremely hydrating. It soaks effortlessly into the skin and is non-greasy. I have to say that in the 2 weeks that I have been using this product, I have noticed that not only has my skin been plump and hydrated, I have also noticed it has smoothed out any imperfections that I had, and I certainly haven’t had any wrinkles appears. I will defiantly continue to use this, it’s just an all great great product. If you are looking for a new moisturiser that does more than just moisturise. I highly recommend you pick up some Olay total Effects 7 in One. Your skin will thank you for it. It’s available from pharmacies and leading retailers throughout Malta and Gozo priced €19.95*.